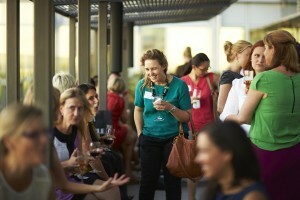 WIMWA Mentoring Program mentee applications are now open. Are you interested in being mentored by some of the most inspirational men and women around town? Would you like to build your professional networks? How about receiving individual support, advice and guidance from a male or female mentor that lives and breathes the same industry as you? Heading in to the eighth year, the highly successful WIMWA Mentoring Program has been tailored to suit women working in the mining and resources sector. The aim of the WIMWA Mentoring Program is to support WIMWA mentees through career guidance and direction by sharing mentor/ mentee experiences, developing career goals and forging exceptional mentoring relationships. Our mentor database includes some of the most influential WA male and female leaders in the industry all with a wealth of knowledge. Applications for the WIMWA Mentoring Program S2 2019 are available here applications close 29 March 2019 (Semester Two). Program costs of $1,100 (incl.GST) are payable on acceptance of application.